At SOIL we believe that having access to a toilet is a basic human right. Having access to a toilet provides a feeling of dignity. Household toilets increase safety for women and girls and they are critical for preventing waterborne diseases. Because of lack of access to toilets, clean water, and hygiene services, diarrhea kills 2,195 children every day around the world—more than AIDS, malaria, and measles combined. Sadly, it is estimated that only 34% of urban Haitians have access to improved sanitation facilities and less than 1% of human waste in Haiti is safely treated. This sanitation crisis is mirrored on a global scale with 2.4 billion people still lacking access to a toilet. Many attempts to create or repair sanitation systems are themselves ineffective, focusing only on the provision of toilets and neglecting waste treatment. But a toilet without a waste treatment system is just a means for displacing a problem, cleaning up one local environment while polluting another. As a result, the wastes of 4.2 billion people in the world (two thirds of the world!) are dumped directly into waterways or sit in underground reservoirs where they often leach into groundwater. Where waste treatment systems do exist, the processes for disposing of wastes also disposes of valuable nutrients, instead of harvesting them for reuse. Despite billions of dollars spent on sanitation interventions, the global population continues to suffer from the lack of access to safe sanitation and the environment continues to suffer from pollution and declining soil fertility. Working in Haiti, where the majority of the population lacks access to a toilet, one of the deadliest cholera outbreaks in modern history has infected more than 1/6 of the population, soil fertility is declining precipitously, and water sources are dangerously polluted, SOIL is acutely aware of the cycle of poor sanitation, environmental degradation, and poverty, and SOIL strives to develop solutions that break this cycle and support long-term sustainable development. 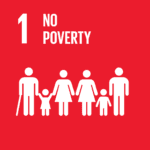 In September 2015, members of the United Nations adopted 17 Sustainable Development Goals (SDGs) designed to achieve by 2030 the eradication of poverty, as well as protect the planet from degradation, and generally ensure that all human beings can enjoy prosperous lives. 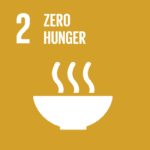 As research from the Stockholm Environmental Institute (SEI) has explained, the SDG’s are, by design, inextricably interconnected as a truly long-term solution to global poverty eradication depends on our ability to address all the social, economic, and environmental dimensions of this challenge. SOIL’s work exemplifies this interconnectedness: with nature as our inspiration, we are working to develop a sanitation system that is simultaneously restoring the environment to its life-giving potential and promoting the growth of local economies by creating meaningful livelihood opportunities throughout the ecological sanitation cycle. SOIL employs 84 full time staff and over 250 temporary positions in the sanitation sector. Over 90% of SOIL’s permanent staff are Haitian, and SOIL is creating a model for an in-home sanitation service that can be run and operated by Haitian entrepreneurs, providing a sustained source of jobs and contributing to local economies. As SOIL’s sanitation businesses increase in scale, more and more jobs and small business opportunities will become available in each of the neighborhoods we service. This has the potential to create significant employment opportunities and contribute to economic growth in some of Haiti’s most vulnerable communities. Producing affordable, organic compost that can be used to restore soil fertility helps farmers grow more food. 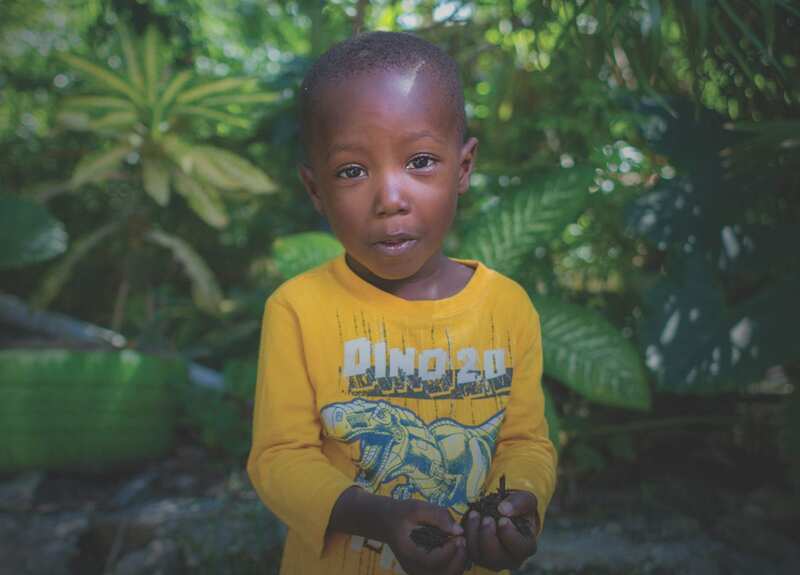 We believe that by helping farmers produce healthy, locally grown crops and working to create fertile and resilient soils across the country, Haiti can once again be a place of agricultural bounty. By removing untreated waste from the communities we serve, SOIL is working to reduce the incidence of childhood diarrhea and stop the spread water-borne diseases like cholera and typhoid. 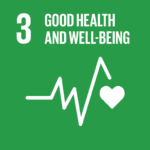 SDG 6 reflects an emerging global consensus that toilets alone are not a sufficient sanitation solution. Without effective management of the wider sanitation chain including containment, emptying, transport, and treatment, the waste contained in toilets ends up in the environment causing major environmental and public health hazards. 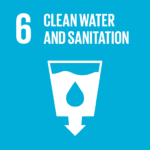 SDG indicator 6.2.1 highlights the importance of “safely managed sanitation services” and included in target 6.2 of the SDGs is a sub-target on halving the proportion of untreated wastewater and substantially increasing recycling and safe reuse of wastes globally. 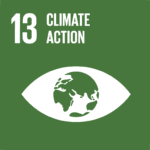 SOIL’s full value chain approach to sanitation is one of the few interventions globally that fully complies with the updated Sustainable Development Goal for sanitation. 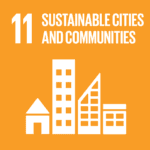 The number of people living in urban areas is expected to double by 2050, yet urban sanitation services, especially to rapidly growing informal urban communities, have historically been extremely difficult and expensive to provide. Conventional sewerage is nonexistent in Haiti and unlikely to be a viable solution in the near future as sewer systems require considerable up-front capital investment and depend on the availability of reliable water and energy supplies. Additionally, they depend upon highly professional, well-resourced utilities to operate and maintain them. Lack of space, high water tables, and frequent flooding events make alternative onsite sanitation services (such as latrines and septic tanks) unsuitable and prone to causing contamination. 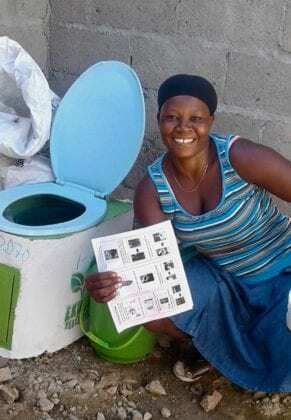 SOIL’s container-based toilets, which remove all human waste from urban communities in sealed containers, allow SOIL to provide a uniquely affordable, safe, and dignified household sanitation solution. Two years ago, SOIL initiated scientific collaborations with Dr. Rebecca Ryals of the University of Hawaii and Dr. Matthew Reid of Cornell University to quantify the potential for ecological sanitation to combat climate change via three mechanisms: reduction of greenhouse gas emissions compared to alternative sanitation practices, offsetting synthetic fertilizer use, and sequestering carbon in agricultural and forest soils through compost amendments. Our preliminary results suggest that SOIL’s ecological sanitation technology emits 40-92% less greenhouse gas than waste stabilization ponds, and that management improvements can further reduce emissions. The over 100 metric tons of compost amendments that SOIL produces annually further contribute to climate change mitigation by improving the soil’s ability to stabilize carbon and by increasing plant growth, thereby pulling more carbon dioxide out of the atmosphere. Research in California has shown that application of as little as ¼ inch of compost to soils can increase net ecosystem carbon storage by 25-70% (not including the carbon applied in the compost). Compost also reduces the need for synthetic fertilizer inputs, which are the primary source of soil nitrous oxide emissions and contribute 1% of global anthropogenic methane emissions. Finally, compost amendments help vulnerable agricultural communities adapt to climate change impacts by increasing the ability of a soil to retain water and nutrients, reducing erosional losses, and buffering against drought conditions. SOIL compost is being used to improve the viability of reforestation efforts in Haiti. Healthier and more resilient soils are also less vulnerable to natural disasters because they protect against drought and erosion. The use of compost for reforestation further stabilizes soils, helping to prevent catastrophic floods and mudslides. Lack of sanitation access is a huge problem that has an enormous public health impact around the world. And while organizations like SOIL using ecological techniques to reuse the resources of human waste seemed slightly batty only a few years ago, we now know how critical it is to rebuild the soil, fight climate change, and increase resiliency to climate change. Our planet can’t afford to waste any resources, and recovering resources from human waste is critical. According to the Stockholm Environmental Institute, “few areas of investment today have as much to offer the global shift towards sustainable development as sanitation and wastewater management”. It is a paradigm-shifting hypothesis that sanitation can focus on the economically and ecologically beneficial nutrient capture and agricultural reuse of human waste rather than simply on waste disposal. And we’re proud that by building a circular sanitation business model, SOIL has demonstrated that it is possible to provide cost-effective safe, dignified, sustainable, full-cycle sanitation services in some of the most impoverished urban communities in the world. And over the coming years we won’t stop fighting until we have a scalable and replicable model to provide sanitation access for the 700+ million people living in urban communities who currently lack sanitation access. Our planet depends upon it. 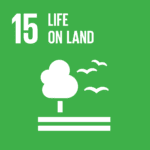 2 Replies to "How SOIL’s Toilets are Tackling the UN Sustainable Development Goals"
Hi Virginia, Thanks for the question! We don’t sell EkoLakay toilets, but we do have a lot of really great resources and open source solutions to help you bring Ecological Sanitation systems to your community here: http://oursoil.org/resources. Be sure to check out SOIL’s Guide to EcoSan, too!